Opened the end of Summer 2013. 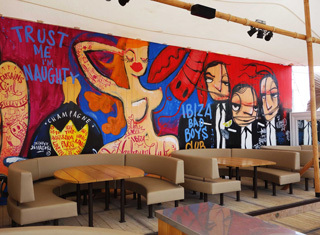 Come and be surprised by the charming space, the palm trees covered terrace with sea view, the stylish interior and the 16 meter-long mural by neo pop artist Selwyn Senatori. Also great restaurant and „ fish market” with great oysters. 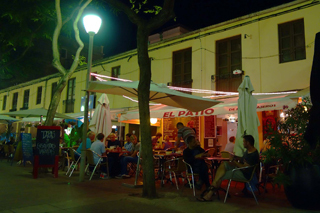 At the heart of Ibiza town, Hostal Parque's café is a traditional meeting point for residents as well as visitors. The café serves flavorful breakfasts from early morning. A great variety of natural fruit juices, salads and quiches complete the menu. From 1 pm to late evening, refreshing dishes are being served as well. 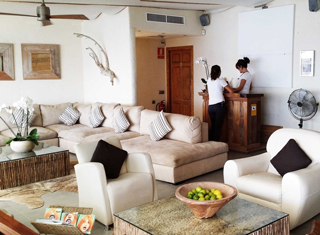 During the Winter holidays we offer an oyster and cava buffet. 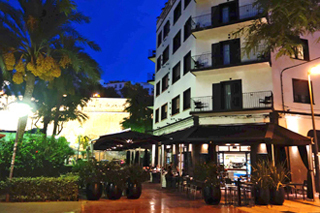 The Parque Plaza is a pedestrian area located at the foot of the rampart, between the old and the new town. 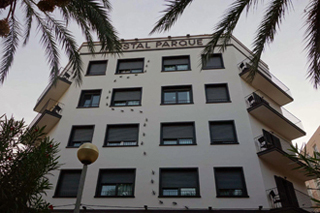 Plaza del Parque 4, 07800 Ibiza, Spain. 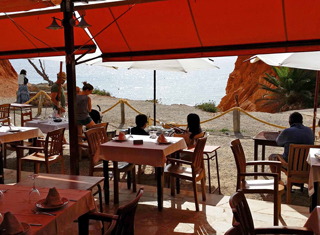 Beach restaurant and bar serving excellent Ibicencan seafood, from paellas and other rice dishes to all kinds of fish. Also mussels and clams from the seawater tanks. Open in winter and popular with locals. Also very nice garden bar in the shadow of trees. Outside terrace viewing the church of san Jose. 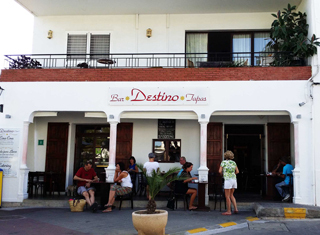 There is also a Destino Bar at Santa Gertrudis. 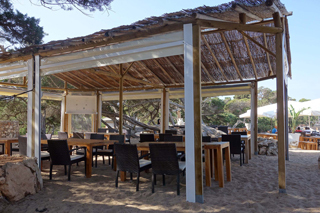 Beach restaurant at Es Cavallet beach, also with lounge beds overlooking the sea and the island Formentera. 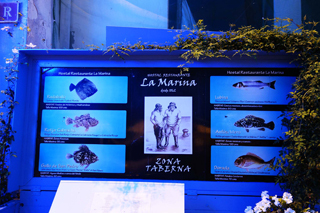 For almost 20 years La Escollera has attracted people from all over the world. But especially the locals. 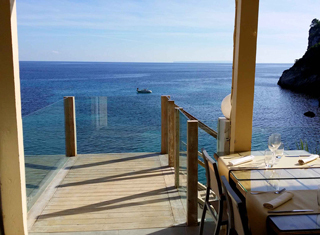 With always high-quality, fresh and when possible local food grown on the island, their menu aims to please. They serve authentic Spanish and Mediterranean-influenced cuisine including seafood, prime cuts of meat and a good selection for vegetarians. For the more modern palates, dishes like Thai style chicken or Californian sushi do the trick. 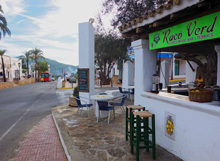 Their specialities are paella, Gallo San Pedro served with Ibicenco-style patatoes and Boquerones Mami, all made from original family recipes. 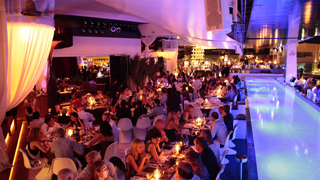 The ultimate French dining experience in Ibiza With quality as their main focus, as well as outstanding service, this restaurant has been deemed one of the best on the island. 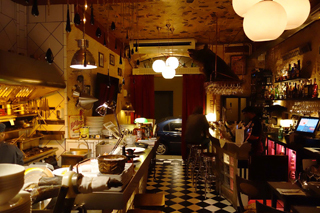 The chic interiors are decorated in the style of a typical French bistro, complete with open kitchen. 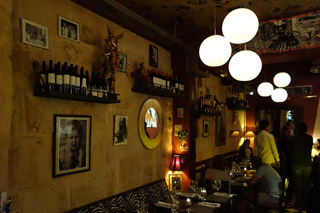 Their menu is short but extremely well thought out: the oysters and foie gras are not to be missed. If you want an exquisite dining experience in an intimate restaurant then this is the place. Don’t forget to book. 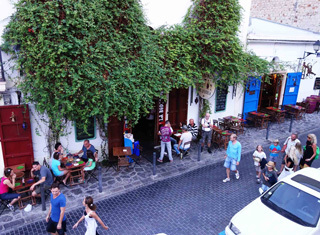 It may be hard to find, but make no mistake – this is a popular haunt. 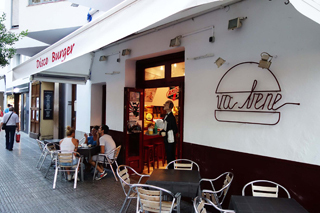 The best hamburgers from Ibiza! Try number 13, the double burger with fried unions, bacon, cheese and a fried egg! 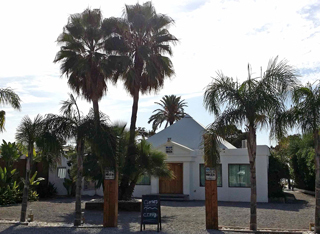 Also open on Sundays and festivities from 13:00 - 16:00 hrs. 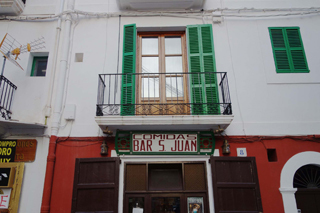 This family-run operation, with two small dining rooms, harks back to the days before Ibiza became a by-word for glam. 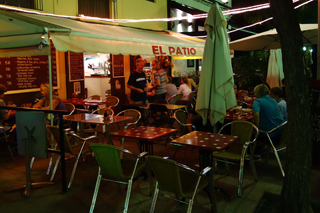 It offers outstanding value, with fish dishes for around €10 and many small mains for €6 or less. It doesn't take reservations, so arrive early and expect to have other people sat at the same table as you. 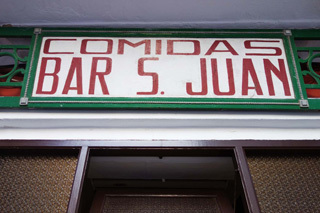 Also known as: El Patio de los Pasajeros. 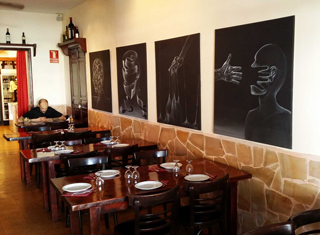 An upbeat, urban tapas joint just off Plaza del Parque. 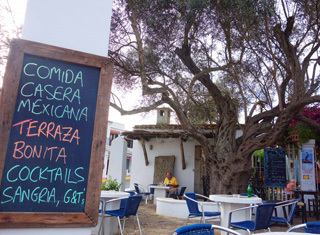 Tapas for in the afternoon or night. Maria and her German girlfriend Conny from Restaurant Los Pasajeros at the harbor joined the sister of Maria after Maria sold her restaurant. 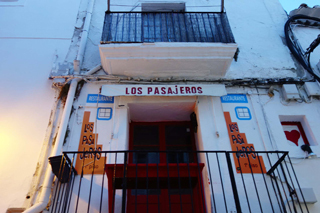 Because of a competition clausule they are not allowed to serve the same cheap meals Restaurant Los Pasajeros was famous about, so they have only tapas and salads. Great fish restaurant at the harbour with terrace outside. One of the restaurants which is also open on Sunday in the winter. Trendy restaurant where their policy is that after your dessert you have to make room for the next shift. That is why they don’t serve coffee. Lots of locals go there or tourists who want to be on the guest list of a dance party. Fantastic value and a great atmosphere: always a crazy adventure with loud dance music from the gettoblaster and funny service. Be prepared to queue and also to share tables, but for cheap and fast food this place is great! 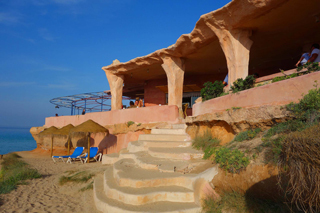 Cala Conta / Platges de Comte. 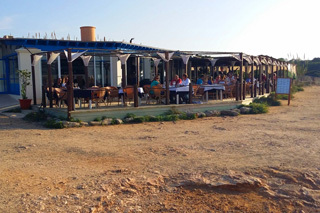 Sunset beach bar, lounge, with live music and DJ's. Food: Indian / Mediterranean and sushi / sashimi. 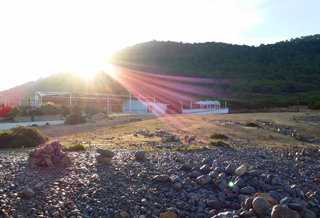 Lovely view at he sunset and on the island ille des Bosc. With a beautiful sandy beach, crystal clear waters, 2 beach bars, 3 restaurants, a snack bar, VIP area with exceptional service, shimmering sea views and a blissful Balearic soundtrack. 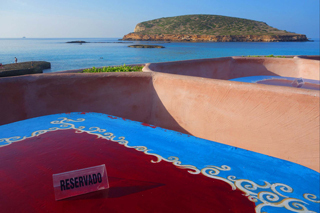 Amante Beach Club is a stunning Ibiza restaurant and beach club set in a stunning rural cove. 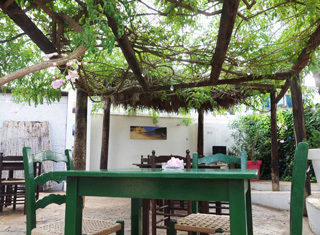 Amante is available for events and wedding hire. 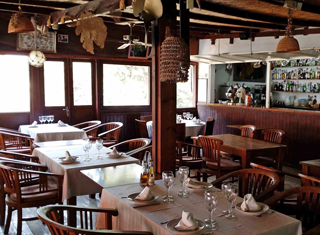 The old Restaurant Cap de Falco. 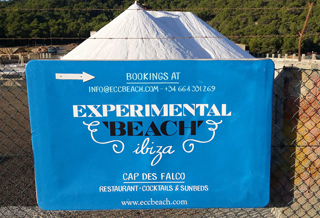 Experimental Beach is open all day long. 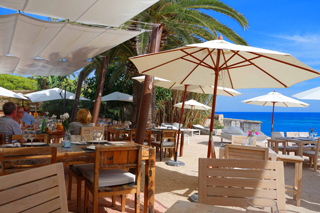 The restaurant at serves up a marvelous lunch best enjoyed in the sunshine. Dinner is accompanied by the most magnificent sunset on the island. 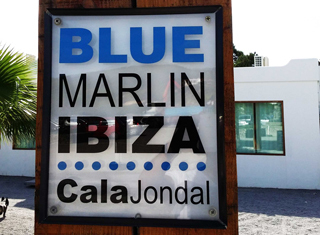 Blue Marlin Ibiza is a stylish beach club that provides you the best comfort, service and entertainment. 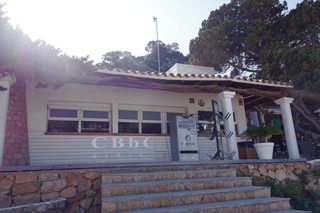 They are located in the beautiful Cala Jondal Bay in the southwest of the Island and we are reachable by yacht or car. 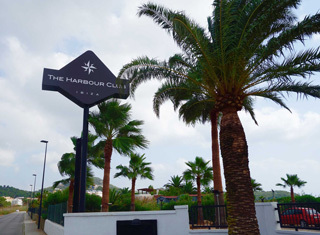 They are open every day from the 1st of April until middle of October, offering a Mediterranean cuisine fusion with Asian influences, Sushi and the top cocktails of the island. 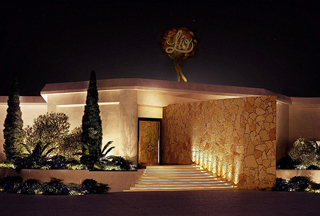 In Lio Ibiza you will live a unique cabaret experience set in an incomparably stunning Mediterranean atmosphere. A world of senses and pure beauty. Every night you can enjoy a different show, concerts and a variety of acts that will leave you speechless. 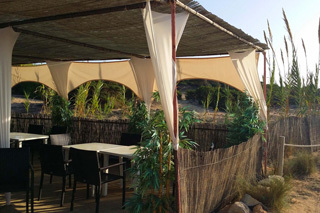 First class restaurant located in one of the best places on the island from where you can see the best sunset of Ibiza. 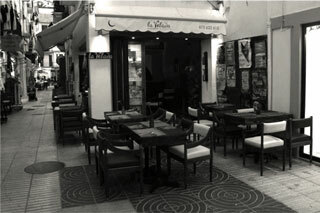 Their goal is to offer their customers, many of them friends, a warm and refined cuisine in lovely surroundings. 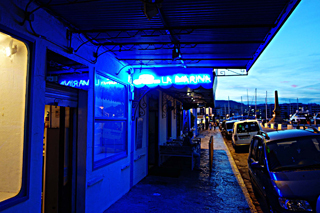 Specializing in fresh fish, Rice and Paella. Open noon and night. 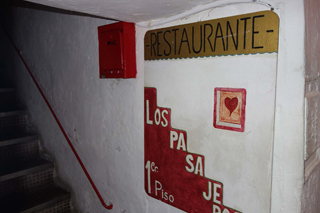 Very popular tapas restaurant (please reserve!) with kind of funny view: the ramp to the old city. Great relaxed atmosphere. Mexican restaurant in San Jose with view on the church. Owners Sam and Claire can make the best healthy fruit – vegetable shakes. Great for breakfast, lunch and dinner. 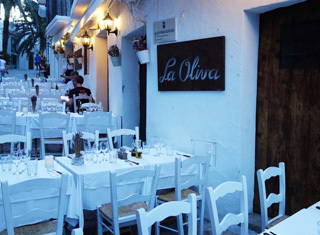 At the heart of the old town of Ibiza, in authentic ibicenco surroundings classed as heritage of UNESCO, Rene, Ursula and their team are happy to welcome you to "La Oliva" Restaurant. 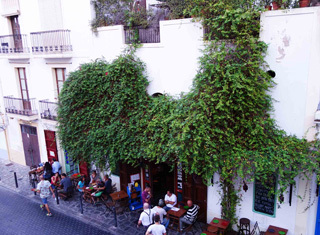 Seated on a paved terrace, you can enjoy the many performances given on the most animated square of the Dalt Vila. 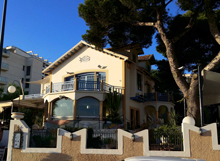 It is in the intimate, romantic and famous atmosphere that the chef offers you a varied menu, with 25 years of culinary experience which has allowed to combine mediterranean cuisine with asian touches. 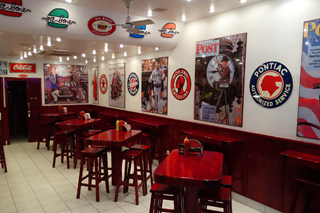 The choice of dishes will satisfy all appetites and with a value for money that will make you want to return. 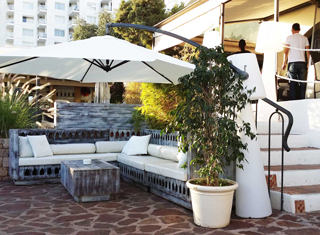 An authentic wine and food lover's hidden gem in the heart of La Marina, in the port of Ibiza. In the last couple of years it has had increased success thanks to the quality and variety. The menu is short but well assorted to please all the tastes. 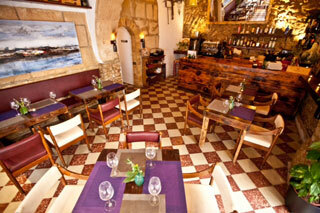 Every week you can find some special wine from the owner's cellar and special dishes based on the daily market. 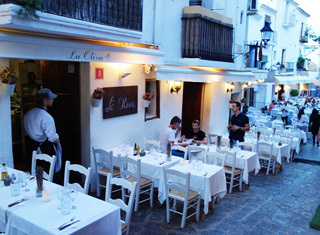 It has lovely tapas with an interesting combination, venician inspired with a spanish twist! Make sure you have a reservation during the high season months! 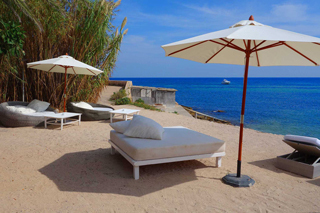 © 2014-2014, Design by Peter Versnel for Ibiza Holiday.